Today is my third and last author interview in conjunction with the Orangeberry Website as part of the Orangeberry Summer Splash.The interview does not follow my usual author interview format; the author received an Orangeberry Summer Splash questionnaire and was asked to answer at least twenty questions. Future author interviews will return to this blog's customary style, and I've already lined up some people to feature. After the interview, at the bottom of the post, you can enter a contest to win a Kindle Fire and/or ebooks. 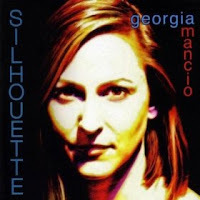 Today's featured author is Marie-Anne Mancio, who is an art historian, artist, and author of fiction and nonfiction. 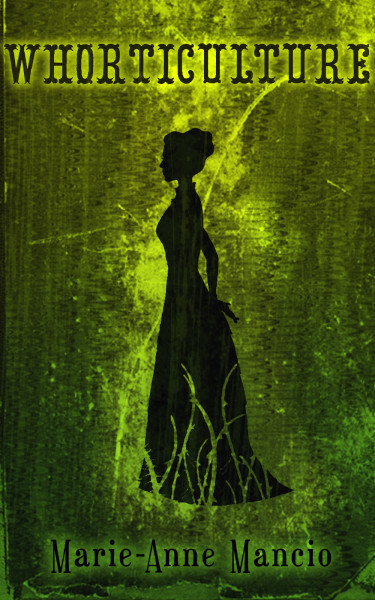 Her book featured today is Whorticulture, a collection of interlaced short stories about four women in pre–Civil War America. If you could travel in a time machine, would you go back to the past or into the future? Oh so difficult! The future. Writing historical fiction and lecturing in art history, I already spend a lot of time in the past. I'd like to see the future to know whether the gap between the wealthy and the dispossessed becomes impossible to bridge. I imagine the West like Huxley's Brave New World but with the rich genetically engineered for health, youth, and intelligence and a subclass of poor, aging people with no teeth. I'm also curious to know whether books will still exist in paper format in an hundred years' time or if they'll disappear and become collectors' items or just fine art objects. There are so many, but I recently re-read Jeanette Winterson's Gut Symmetries, and it's such an elegant, poetic book I think every aspiring writer should read it. As long as it's genuine Italian ice cream I don't mind. I had tomato flavour in Imperia and it was weirdly enjoyable. The Futurists created a recipe for vanilla ice cream with onion squares, which must be worth trying! My great-grandmother. She was Uruguayan and travelled by boat (with her piano) from Montevideo to Naples when she got married. Apparently, when she got there, she refused to take off her hat because she wasn't planning on staying that long. American pancakes with maple syrup every time. No bacon, no fruit, just the pancakes... they just don't do them right in England. Early bird these days. A hungry cat makes the best alarm clock. One food you would never eat? Anything with mustard. It's the devil's food. Prejudice. Double standards. Bad manners. Air conditioning. Please tell us, in one sentence only, why we should read your book. Because it will make you question your moral compass. Any other books in the works? Goals for future projects? I'm starting a novel based on a true story about an alleged kidnapping in 18th-century London. I'd also like to make a limited edition paper version of Whorticulture. It would have to be very delicate with more of Robert Allmand and Michala Seilman Tønsberg's beautiful illustrations. Having people speak about my characters as if they were real and asking questions about what happens to them. If you could jump in to a book, and live in that world.. which book would it be? I'd love to party at Gatsby's. What is your dream cast for your book? I think that's a question for readers. I'd hate to have to choose, partly because some of my favorite actors are a bit too old for the protagonists of Whorticulture, but, if you suspended disbelief, Nicole Kidman, Forest Whitaker, Natalie Portman, Naomi Watts, Julianne Moore, and Robert Downey, Jr., could be in there somewhere. Or a whole cast of English unknowns posing as Americans. What was your favorite book when you were a child or teen? 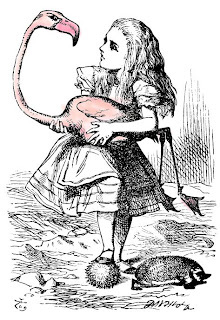 I loved Alice's Adventures in Wonderland. Is there a song you could list as the theme song for your book or any of your characters? "Transoceanica" written by Georgia Mancio and Tim Lapthorn. Though it's about the building of a new road through the Amazon forest, it has broader implications. There are two voices: One sings about change bringing opportunity, wealth, and hope and the other about it bringing destruction, poverty, and danger. So it's actually a song about progress. The antebellum world of Whorticulture is a world on the cusp. We see immense changes in San Francisco after the Gold Rush; we see the destabilizing of the institution of slavery. Keep a scrapbook and collect images. If you could be one of the Greek gods, which would it be and why? Proteus. He was a sea god who had the power to assume different forms. I've always been fascinated by chameleons or creatures such as the mimic octopus that use change as a survival strategy. If you could live anywhere in the world where would it be? New York. I know it's a cliché but it really does have a better energy than London. And it has pancakes. What is your favorite quotation? When you were little, what did you want to be when you "grew up"? Dostoyevsky, Chekhov, Donna Tartt, Jeanette Winterson, Angela Carter, Truman Capote, Graham Greene, David Mitchell.....too many to mention. I expect most authors would admit to at least a little bit of themselves in their characters. I probably have Katharine's ability to daydream and Seraphine's impulsiveness. To get your work out there in whatever form. What movie and/or book are you looking forward to this year? I read somewhere that Donna Tartt's new book is due out this year and I can't wait for that. How do you react to a bad review? I try to take on board what the reviewer has said to see whether there's anything useful in it for me to learn from. I also remind myself not to take it personally. The themes in Whorticulture aren't going to appeal to everyone. There was a thread recently on whether The Great Gatsby is the most boring book ever and I was stunned by some of those views. If you were a bird, which one would you be? A flamingo. I saw lots in the Atacama desert and they are amazing. You have won one million dollars: What is the first thing that you would buy? What's your favorite season or weather? Summer. I would be perfectly happy if it were summer all year round. A New York summer rather than a London one though. I didn't! Good point - I should do so. British soap operas. I saw the first episode of EastEnders and have watched it intermittently ever since. The writing on Coronation Street can be comedy genius. And the acting is underrated. Music for Chameleons by Truman Capote. Just because it's a great title. Thank you for stopping by my blog today, Marie-Anne! As a girl waits for the return of her disappeared father, the story of four migrant women unravels. In antebellum America: A daydreamer from the country gets an unexpected education on the Mississippi river; a storekeeper falls in love with a thief amid the chaos of Gold Rush San Francisco; a fugitive quadroon re-invents herself in a New York brothel; and a young bride is trapped on a Louisiana sugar plantation. Though they do not know it, their lives are inextricably linked by the men they encounter. Peopled by whores, tricksters, gamblers, do-gooders, liars, and fools, and with allusions to the coded language of flowers, Whorticulture is about prostitution in its myriad forms. And now for the contest! ALL participating authors in the Orangeberry Summer Splash event. 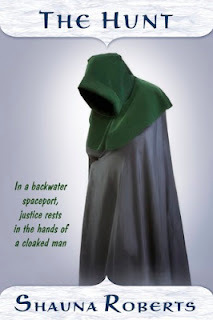 My speculative fiction e-novelette "The Hunt" will be free in Kindle format today through 28 August here at Amazon.com. In a run-down spaceport, assassin Thadow hunts for a bag of stolen pearls to prove his worth to the head of the Guild of Transmuters. Meanwhile, two spoiled teenagers, Trilia and Lateron, pass the time while their mothers' spaceship is in port by harassing the locals and stealing things from them as part of a scavenger hunt. Then their paths cross, and life will never be the same again for either Thadow or Trilia and Lateron. "'...a wild, fun story with good characters." — SFRevu, February 19, 2010. Please download it for your Kindle and invite your friends to do so too. Thanks. Today's author interview again is in conjunction with the Orangeberry Website as part of the Orangeberry Summer Splash.The interview does not follow my usual author interview format; the author received an Orangeberry Summer Splash questionnaire and was asked to answer at least twenty questions. 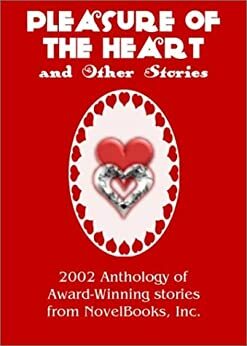 Today's featured author is Jeanne Tomlin, who writes as J.R. Tomlin. She lives in the Pacific Northwest, where she writes historical fiction and (with co-author C.R. Daems) fantasy fiction. 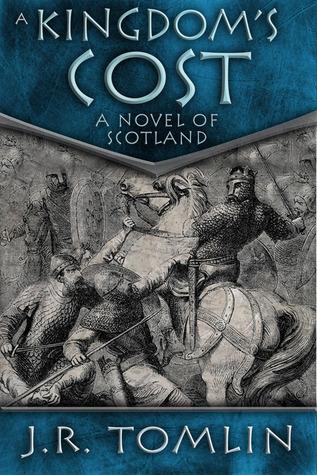 Her featured book today is A Kingdom's Cost, set in Scotland during the time of Robert the Bruce. If you were stranded on a desert island what 3 things would you want with you? Tough one. Would the desert island have power? I need power for my Kindle and laptop. Ack? No power? Three books. I can’t even imagine trying to survive without books. I would take Mary Renault’s The Charioteer, Dumas’ Count of Monte Cristo, and Homer’s "The Odyssey." Another tough one, especially since I think people should read a lot of books. The most important book for people to have read? Homer’s "The Odyssey." Oddly enough, it’s a rather fun read but it is seminal to much of Western literature and teaches a lot about overcoming seemingly insurmountable obstacles. Oddly enough, I prefer vanilla but it has to be a good vanilla, not the bland fake stuff. Fried liver! It is truly disgusting. People who, when told I’m an author, come up and tell me they’ll write a great novel—when they have time. Several of them. Together with my sometimes co-author, C.R. Daems, I am working on a paranormal fantasy titled Voodoo Seer. I am also working on the final novel in my historical novel trilogy The Black Douglas Trilogy. Both should be out before the end of the year. What was your favorite book when you were a child or a teen? Before I switched to adult books, which I did when I was about nine years old, my favorites were Nancy Drew novels. I think I read all of them. Once I discovered grown-up books with The Three Musketeers, I never looked back though. Be aware that it usually takes time and practice to become good at anything and that includes writing. A writer. I always wanted to be a writer. Mary Renault, Michael Nava, Homer, Joseph Hansen, Alexandre Dumas, Dashiell Hammett, Bernard Cornwell. I have pretty varied tastes. I love a writer who can tell a good story and bring a great character to life. No. All my characters tend to be very different from me. Writing is a marathon, not a sprint. Don’t be impatient. Bread. Which I can’t eat because I am severely gluten intolerant. I really hate that. Which authors have influence you most? Bernard Cornwell was a big influence, probably the biggest. I do some hiking, listen to music, and read mainly. I’m not a TV watcher although I occasionally download something to watch. Give us a glimpse into a typical day in your day starting when you wake up till you lie down again. I never write in the morning. I am just not a morning person so I get up, make coffee and drink several cups, check to see how many novels sold on Amazon on my Amazon dashboard, check some writers forums, probably argue with someone there, give a little advice to some other authors, twitter a bit, check about 50 different blogs, and then realize it’s noon and I still haven’t eaten. So I have some lunch and then it’s time to write. I write on and off for the afternoon. I have trouble writing for long stretches so I usually only write for an hour before I take a short break. Then I write some more. Somewhere in there I have to fit in some research. In the evening, if I’ve met my writing goal, I’ll do a little blogging and maybe download something to watch or read for a while. My first book sale was to a small publisher. I bought a box of Ghirardelli’s chocolate, which seems rather trite, but it’s what I did. Oh, Scotland. Absolutely, without doubt. I spent much of my childhood there and love going back. I love the coast of Scotland. It is a wild and exciting landscape. I’m a big fan of the Scottish folk group The Corries. I like Clann an Drumma. I listen to a lot of classical, particularly Chopin. And I like classic rock. So… that’s a pretty eclectic selection. I can’t say that I’d choose one over the other. It all depends on my mood—and what I’m writing. Thank you for visiting my blog today, Jeanne! Scotland is occupied; Scottish resistance is crushed. Eighteen-year-old James Douglas can only watch as the Scottish freedom fighter, William Wallace, is hanged, drawn, and quartered. But even under the heel of a brutal English conqueror, the Scots may still have one hope for freedom: the rightful King of the Scots, Robert the Bruce. James swears fealty to the man he believes can lead the fight against English tyranny. The Bruce is soon a fugitive, king only in name. The woman James loves is captured and imprisoned. Yet James believes their cause is not lost. He blazes a path in blood and violence, cunning and ruthlessness as he leads a guerrilla war to restore Scotland's freedom. James knows if he is captured he will share Wallace's fate, but what he truly fears is that he has become as merciless as the conqueror he fights. Aisha is the newest Talon of the Raptor Clan, mercenaries prized by rulers, nobles, and the wealthy as elite bodyguards. Her skill with a blade and her magical rune have won her a prized place as a Talon, but she wins her fights through wits as much as her skill. Guarding a spoiled young princess is Aisha's first assignment for the clan. Surrounded by dangerous plots, keeping the girl alive takes all of Aisha's guile and so does dealing with the warrior prince who seems to be falling in love with her. When assassination turns the princess into a queen on the run, Aisha needs every tool she possesses to protect her young charge, help her find the strength to grow up and reclaim her throne. Today's author interview is different from previous ones: For the first time, I've linked up with the Orangeberry Website. 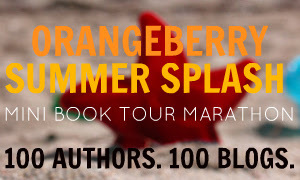 I'm posting interviews two authors as part of the Orangeberry Summer Splash. These do not follow my usual interview format because both authors were given an Orangeberry Summer Splash questionnaire and asked to answer at least twenty questions. Be sure to read down to the very end! There, you can enter a contest to win a Kindle Fire and/or ebooks. 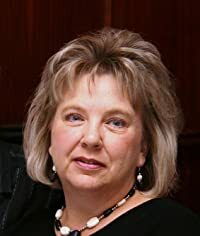 Today's featured author is Caddy Rowland, a Minnesota author of historical fiction. Her novels Gastien: Part 1: The cost of the Dream and Gastien: Part 2: From Dream to Destiny follow the life of a 19th-century peasant who goes off to Paris as a teen to become an artist. 1984 by George Orwell. It’s a great lesson in what can happen when you allow a government too much control. I think it should be required reading for everyone. Real vanilla – the high fat kind, not the sugary kind. The reason I like vanilla is because the possibilities are endless as to what you can add to it. Every dish can be a new flavor with toppings, fruits, etc. Pablo Picasso. I am also a painter, and his talent was amazing. It would be heaven to work next to him and just learn. I know many say he was an asshat, but the things he could teach me would make it worth putting up with that if that was true. What perfect timing to be asked this question! I just read that lamb balls (yes, testicles) are going to be offered at our state fair this year. I don’t believe I will be eating lamb balls during this lifetime. Stuffiness! That drives me crazy, along with prudes. Oh, and people who go into too much detail, stinginess, people that can never make a decision. Those who chew with their mouth open or talk with food in their mouth. Lack of follow through when something is promised. 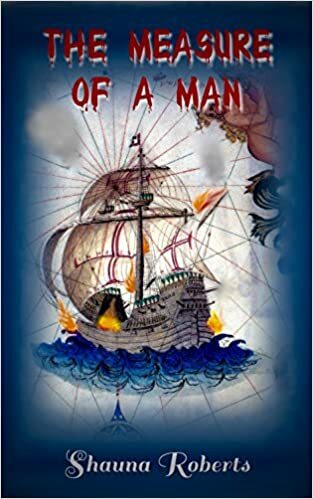 The story of Gastien will affect you deeply and take you on an emotional ride that causes you to think of him for weeks after reading the last page. Gastien Part 1: The Cost of the Dream is the first book in The Gastien Series. Gastien Part 2: From Dream to Destiny is already available, and Tristan Michel: Bloodline of Passion (Book three in the series) is available also. 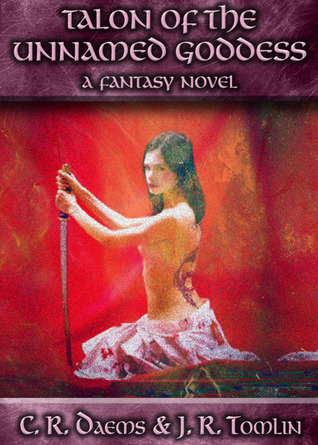 I am currently working on the fourth (Giselle: Keeper of the Flame) which I hope to release in September. 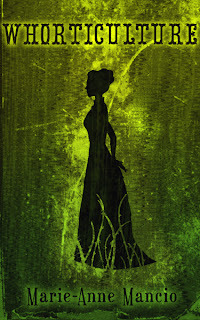 The fifth and last book of the series will come out in late 2012 or early 2013. After that, I do have a couple of stories involving internet affairs bouncing around in my head. They would be dramatic, contemporary fiction. I may also choose to do a fiction novel about a real artist who lived during the same time my character Gastien did. Her name was Susan Valadon. Very few females were artists during the bohemian artist era in Paris. I also have a scary story that has been in my brain for years. I have completed a children’s book called One Little Snowflake that I also did the illustrations for. It is for children with terminal illness and explains the circle of life. It has never been released and perhaps someday it will be. Without a doubt, it would be reader emails or in person reader meetings. They almost always make me cry because they so strongly love my work. That is why I write. When it happens it is magical. Alice in Wonderland, as a younger child. Crazy Horse when I was around 10 and 11. If you could choose only one time period and place to live, when and where would you live and why? Nineteenth century France, in Montmartre. It was where the bohemian artists lived and worked. Montmartre was technically part of Paris by then, but they definitely considered themselves a separate village. It was the most important era in painting. Since I paint I would love to live there, as a male. It was not so great for females yet. This is the setting for the story of Gastien. Aphrodite, the goddess of beauty, love, pleasure, and procreation. Why? Well, what could be more enjoyable? France. Not sure if I would pick Paris, a small town in the country, or the South of France. A movie star. I used to pray every night that God would turn me into Ann Margaret or Tony Oliva (a baseball player)! Quite a difference between the two. Sidney Sheldon, Harold Robbins, John Steinbeck, George Orwell, William Burroughs. Oddly, all men. Women writers I have enjoyed are Jacquelyn Suzanne and Toni Morrison. To not be afraid to say no, even when it makes people angry. You can’t be taken advantage of without your permission. My two parrots will be disappointed, but I would pick an eagle. They fly so high and dive so fast! You have won one million dollars what is the first thing that you would buy? Our home! I would pay it off. Then I would buy us airline tickets to France for three months. The rest would go in savings. What TV show, movie, or book do you watch or read that you'd be embarrassed to admit? When riding my exercise bike I watch various crap on Bravo, like Millionaire Matchmaker, Real Housewives, etc. (blush). Harry Potter. I don’t read or write that genre, but had I written that we would certainly have enough money! I could write and paint anywhere in the world. Money is not the reason I write, but if I could pick any book, why not pick one that has made big money! Other than that, I already am writing what I want to write. Summer! I love hot weather. We have a pool and one of my greatest pleasures is floating in a pool chair that keeps your behind and lower legs submerged, and then tying it up so that it can’t turn and I face the sun. Yes, I do wear a good sunscreen. I am mentally healed and relaxed by this. Thanks for having me on your blog. It was fun! In this first book of the Gastien series, young Gastien Beauchamp begins his journey from the farm to Paris with two goals in life. The first is to become an artist with his own studio, following his own rules. That is an almost impossible dream for a peasant with no money or formal training. Paris spits out talented men into the gutters every day. “Good” gets you nowhere. “Great” maybe gets you a bowl of soup. The second is to become the greatest lover in France. That should be easy. With his stunning looks and willingness to learn, the women of Paris are about to be awakened in a way they have only dreamt about in the nineteenth century! Gastien also has focus, drive, and raw, natural talent. With the dream burning inside of him, he is determined to succeed at any cost. Poor Gastien. If he could only know in advance what brutal struggles await him, he might turn around and go back home. Sometimes the “impossible” is possible. But the cost can be extremely high.